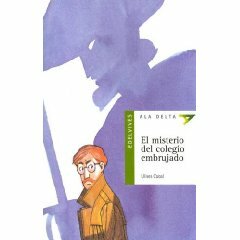 El misterio del colegio embrujado | Yo leo, y ¿tú? Título: El misterio del colegio embrujado. Hello there, just became alert to your blog through Google, and found that it is truly informative. I am going to watch out for brussels. I will appreciate if you continue this in future. Numerous people will be benefited from your writing. Cheers!